Nothing obvious has happened to make the past 24 hours especially dangerous in terms of terrorist attacks. So let's assume that what we are seeing via the snippets below is a work in progress: simply a day in the life of a world falling victim to unthinkable violence of a kind most societies are ill-equipped to challenge, let alone thwart. A day among many not-so-different days. 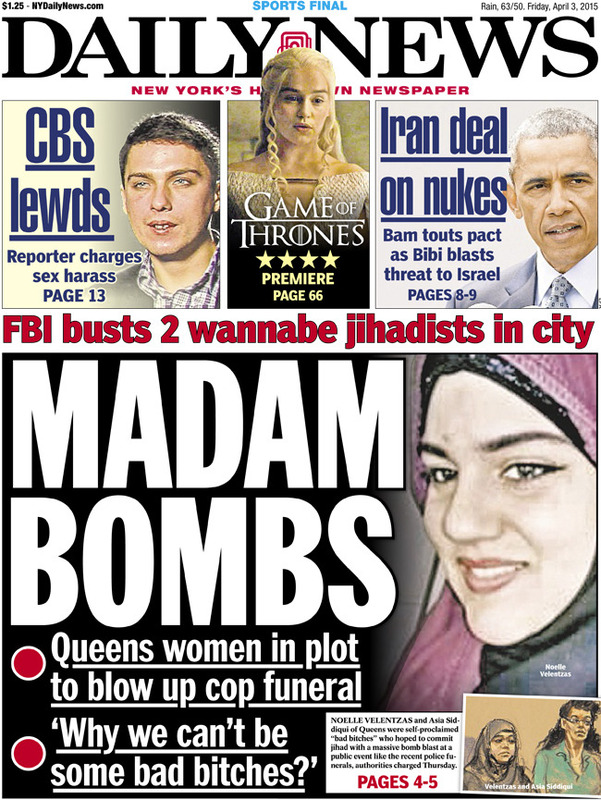 When Noelle Velentzas and Asia Siddiqui were arrested early Thursday morning at their Queens home, officers found pressure cookers, gas tanks, hand-written instructions for bomb making and jihadist pamphlets. According to the AP, Velentzas’ and Siddiqui’s arrest indicates a shift in women’s participation in “militant Islamic jihad.” Unlike women that have previously sought to join terrorist groups, Velentzas and Siddiqui had no interest in the roles traditionally reserved for women: marrying an ISIS fighter or nursing. 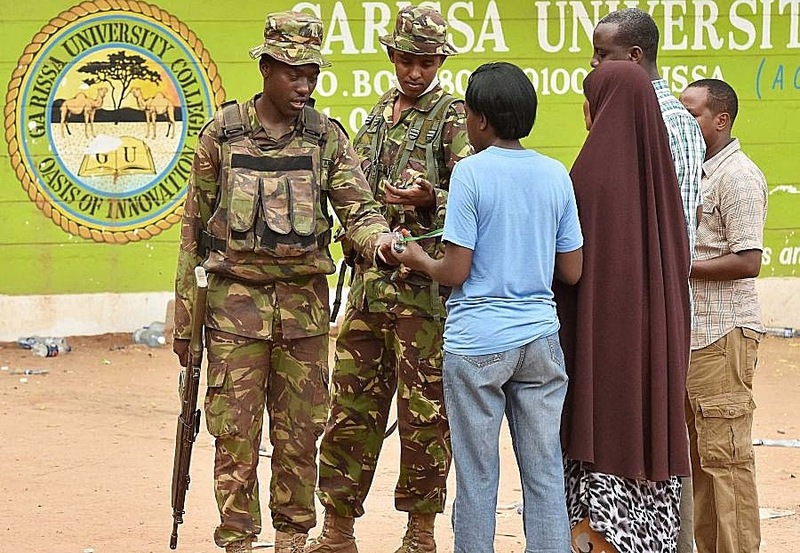 Rather, the government alleges that the two women wanted to take active an military role by building a bomb and attacking a domestic target. ...Abu Bakr said he’d never believe the accusations against his wife. “She couldn’t even hit the baby,” he said, referring to their 5-year-old daughter. “I just want people to know that’s not her . . . She never had any intentions of hurting anybody. This is her country, these are her people,” he said. "She’s a role model for women who really, really want to live as God-fearing women," Abu Bakr said proudly. "She’s passionate about her religion." Malaysian police have detained 17 suspected militants who authorities said Monday had planned to attack police stations and army camps to acquire weapons and carry out terrorist acts in Kuala Lumpur. Inspector General of Police Khalid Abu Bakar said they were detained Sunday. Khalid tweeted that two of them had just returned from Syria. This brought the number of suspected supporters of the Islamic State group arrested since last year to 92, a police official said. Home Minister Zahid Hamidi said the 17, aged between 14 and 44, were planning to attack police stations and army camps to acquire weapons... Authorities also believe the suspects were trying to make bombs as police found notes on bomb-making written by Imam Samudra, an Indonesian who was convicted and executed for his role in carrying out the 2002 Bali bombings, Zahid said. The suspects included two army personnel and two students, and some of them had received militant training in Afghanistan and Indonesia's Sulawesi province... "This is a real threat and prevention measures are needed," Zahid said. A 14-year-old boy and 16-year-old girl have been arrested on suspicion of preparing a terror act. Counter-terrorism police detained the boy in Blackburn, Lancashire, before arresting the girl in Manchester the following day. Officers refused to say whether the case was Syria-related... The investigation is being run by the North West Counter-Terrorism Unit and the two youngsters have been bailed to May 28. The boy was arrested on Thursday after police had examined a number of electronic items, a spokesman for Greater Manchester Police said. The next day, police raided a home in Longsight, Manchester, and detained a 16-year-old girl. Both are suspected of "engaging in conduct in preparation for acts of terrorism". The teenage girl lives with her parents and brothers in a semi detached house in Longsight. A green Nissan Micra was in the driveway of the house yesterday but no one answered the door. A next door neighbour said:" I know the girl very well and she is very nice - she goes to the school where I work. But I do not want to say anything other than they are a very nice family." Another neighbour, who also did not wish to be named, added: "There were police outside and inside the house on Friday and we did not have a clue what was going on. "The girl who was arrested has always been very pleasant to me - we have never had any problems with the family at all. "I used to see her chatting to her brothers outside in the street - they seemed just like normal kids to me." Security agencies have alerted the Delhi Police about the possibility of [Pakistan-based] terror outfit Jaish-e-Mohammad (JeM) carrying out a 'fidayeen' attack in the city... Asking the Delhi Police to remain on alert, the advisory said senior police officers, particularly Deputy Commissioner of Police (DCPs), should take all necessary preventive and precautionary measures in their area of jurisdiction in order to avoid any untoward incident, official sources said.